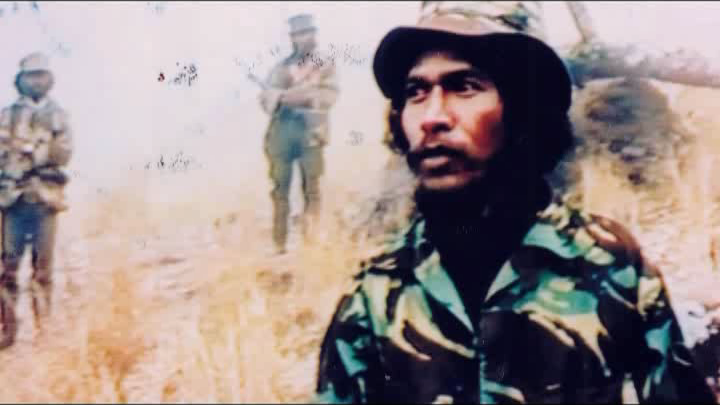 Nino Konis Santana's family meets with Commander Lere - The family of resistance hero Konis Santana has met with the East Timor Defence Force Chief, Commander Lere, to discuss the recovery and re-internment of the his remains. The family's spokesperson, Julio Correiro, said that Santana was a colleague of Commander Lere during the resistance struggle and that he had died because of the country's fight for liberation. Commander Lere is reported by Radio Televizaun de Timor-Lese today as saying that the state should arrange the recovery and reburial of Santana's remains. "He was our colleague and we suffered together in the jungle," Lere said. Nino Konis Santana died on 11 March 1998 in an accident in Ainaro while he was a FALINTIL Commander. He was born in Lospalos District in the town of Tutuala and became a leader of UNETIM (East Timorese Students Organisation) until 1975. He worked as a schoolteacher in a village in that same region before the invasion by Indonesia. He was a member of the Commission, which prepared, in 1974, the electoral process in Lospalos. After the Indonesian invasion and occupation he left for the mountains and was appointed assistant to the Lospalos Military Region. In 1981, after the dismantling of the base camps he was appointed member of the Liaison Group led by Xanana Gusmao.At the beginning of 1992, after Mau Hodu was captured, he was appointed Political Assistant to Xanana Gusmao. Upon the capture of Xanana in November 1992, Nino was appointed as a member of the Military Political Committee headed by Ma'Huno. In 1993, after Ma'Huno was captured by the occupying forces, he became the operational Commander of FALINTIL and re-organised the resistance by establishing the Executive Council of the Armed Struggle and of the Clandestine Front, which co-ordinated all the resistance's activity inside the territory. He was also Secretary of the Directive Committee of FRETILIN. Santana was not only leader of the armed wing of the Resistance together with Xanana Gusmao but also an architect of East Timorese National Unity, reconciliation and tolerance.He worked tirelessly forging national consensus and unity. Although he was the operational leader of FALINTIL, he was also a peacemaker, a diplomat and statesman. East Timor's first national park declared on 3 August 2007, the Nino Konis Santana National Park, was named in memory of him. Police appeal to the community not be fearful of illegal weapons - Radio Televizaun de Timor-Lese reported today that the Timorese National Police (PNTL) Criminal Investigation Commander, Calistro Gonzaga, has appealed to the people not be fearful about the illegal weapons that are believed to still in the community. Gonzaga said people should not be afraid because the police are currently investigating the most recent case of a lost police weapon and it was anticipated that the investigation would be completed this month. He added the police had already recovered 19 weapons that went missing during the political crisis of 2006. Border Issues Continue to Pre-occupy Government - Diario Nacional reported today that the State Secretary for Security, Francisco da Costa Guterres, and the National Police (PNTL) Representative, Henrique da Costa, officially inaugurated the new office building for the immigration department at Batugade Border Post last Friday. In his speech marking ceremony for the inauguration, Mr. Guterres said the building was very important for those who were working for the immigration department at the border. "Today we are here to inaugurate this office building for the use of Customs and the Border Police Unit (UPF) to defend the country's sovereignty," he said. The Director of the Immigration Service, Jose da Costa, thanked the Government for its commitment in allocating the budget for constructing the building. Meanwhile, the State Secretary for Security and the Oe-cusse police commander met to discuss the Cintrana border dispute with Indonesia with local residents. Diario Nacional reported today that the Secretary of State said that the government needed to resolve this matter so that citizens living near the border could remain calm. In other news about the international border between Timor-Leste and Indonesia, Timor Post reported that the Timorese National Police Border Unit (UPF) and the Indonesian National Military (TNI) are committed to strengthening their relationship in the future. TNI Commander, Hengki Yuda Setiawan said TNI and UPF had built good relations for nine years and were committed to creating peace and stability along the border. "UPF and TNI have a good relationship and we have to unite like a family to strengthen our relations and to guarantee border security," he said. Mr. Setiawan made the comments after participating the UPF's IX anniversary ceremony at UPF headquarters in Batugade in Bobonaro District on September 29. The East Timorese State Secretary for Security, according to a report by Timor Post today, has called on the Immigration Service at the border to work seriously in the future because the border area would be developed in next two years. "In the next two years Timor-Leste's border areas would be developed and there will be a lot of threats, therefore, we should work seriously," he said. In particular, the State Secretary for Security also appealed to the Timorese National Police Border Unit (UPF) to control illegal transactions such as drugs which often enter through border areas. "You should look after our border areas in order to prevent people from doing illegal transactions such as drugs and other illegal activity that might destroy our stability," he said. Discussions on compulsory military service continue - Timor Post reported today that the President of the Republic, Taur Matan Ruak (TMR), and State Secretary for Professional Training and Employment (SEFOPE) had met to discuss how to implement compulsory military during the mandate of the V Consititutional Government. SEFOPE, Ilidio Ximenes, said he met with TMR, to talk about the Government's programs for the next five years and one important issue was how to implement compulsory military service which was one of the President's top priorities.